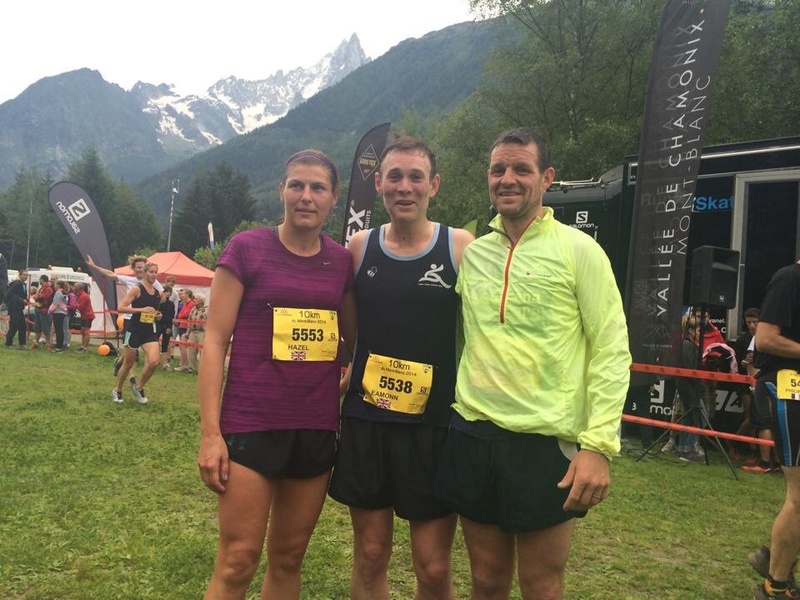 A motley crew of runners and spectators from the homeland made the trip over for this years Skyrunning Championships in the mountain paradise of Chamonix. The official itinerary for the weekend saw the expo opening on Thursday, followed by the 80k and VK on Friday, the Cross and 10k on Saturday, finishing with the Marathon on Sunday. Justin Maxwell kicked off the party starting the 80k race with over 1000 other mad it for it runners at 4am on Friday. The course included 6000m ascent and 4 major climbs. It all warmed up nicely with 1500m of ascent up Brevent using headlamps until the sun rose. 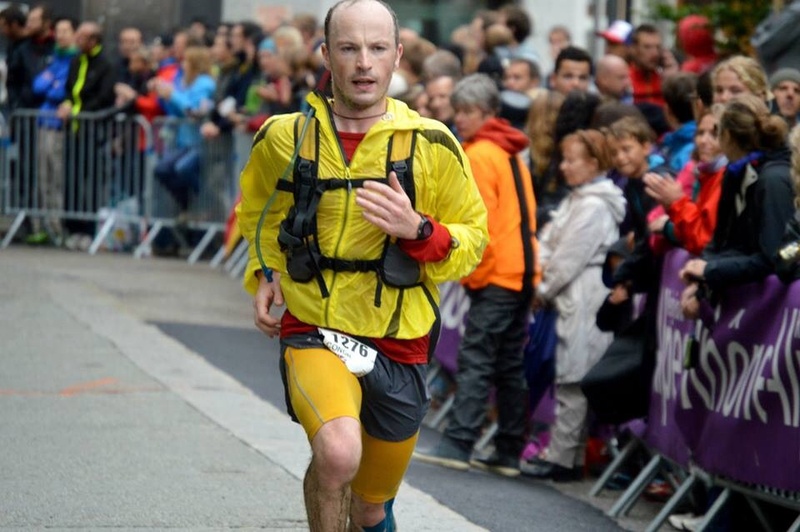 Justin ran steadily all day to arrive back in Chamonix just over 13 hours later in an excellent 40th place. When we were going to bed much later there was still a stream of headlamps out on the course, some day out. 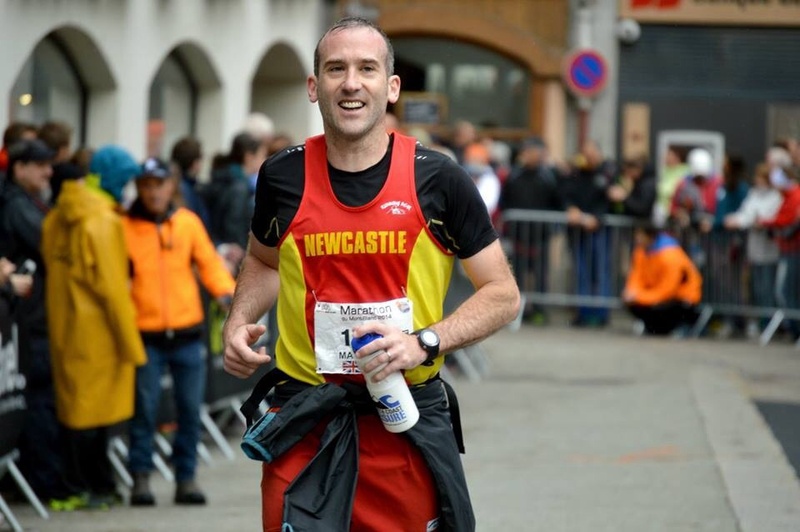 Later in the day veteran uphill running superman Robbie Bryson took on the world’s best in the VK. 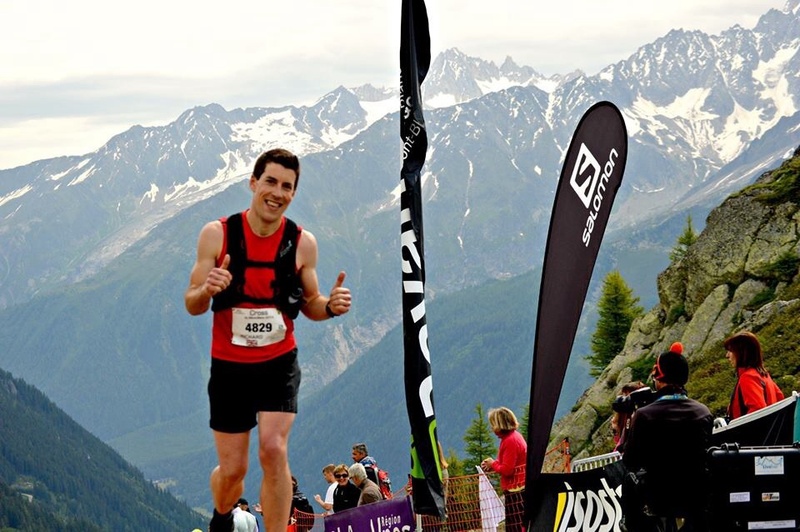 When viewed for the first time the VK course would take your breath away with the unforgiving climb straight up from Chamonix to 1000m higher at Planpraz. Robbie came 35th and first in his category. On Saturday morning I found myself with over 1500 others hollering along with a trumpeter as we waited for the Cross race to start. The Cross takes in the first and last sections of the marathon route. It covers 25K and 1500m of ascent. 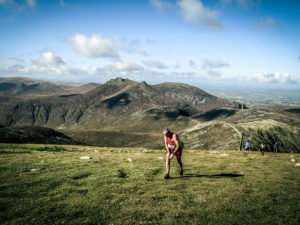 The running is a mix of broad runnable trails, single track, some technical descents and a lofty traverse. The finish at Planpraz felt like tackling a small scale Alp D’huez with spectators encouraging runners over every painful step. I really enjoyed the run and finished in 61st. As all of the other races were full Emmett McAllister, and the McLaughlin family entered the 10k. This was something similar to one of the forest based Hill and Dale races with 350m of ascent. This race ended up being run twice by all participants as they were directed incorrectly on the first outing. Emmett is still talking up how tough it all was. In the end Emmett finished 39th, Eamonn 47th and Hazel 122nd. After a sunny week the weather to a turn for the worse on Sunday. This meant that the marathon route was altered. The main changes being a slightly different ascent on Col Des Possets and descending from La Flegere to Chamonix centre rather than across to Planpraz. Undaunted, 2100 runners set off in a running carnival at 7am. A couple of us ran up to watch the runners coming over La Flegere; however it was so cold even with many layers that we watched Kilian, had a coffee and descended, so fair play to the racers. The streets of Chamonix were lined for the returning runners. The buzz was electric and every single participant got a great reception. 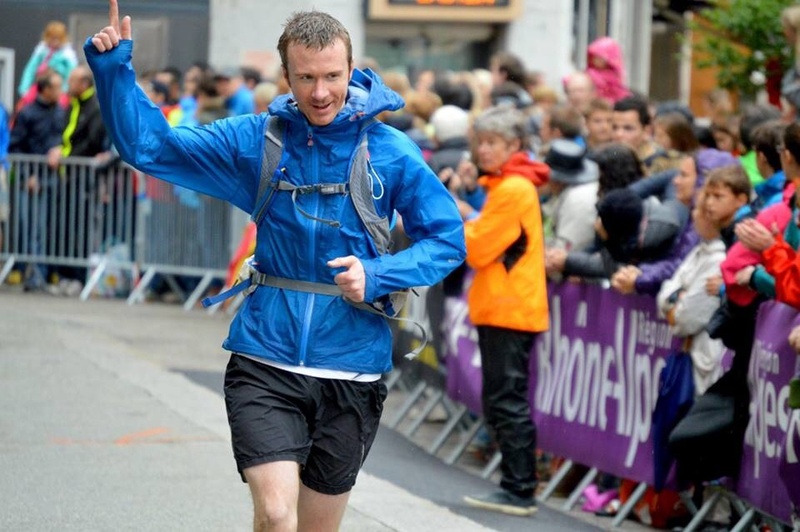 Hot on the tale of Kilian we had Mark Kendall in 226th, Conor Shiels in 448th and John McManus in 471st. 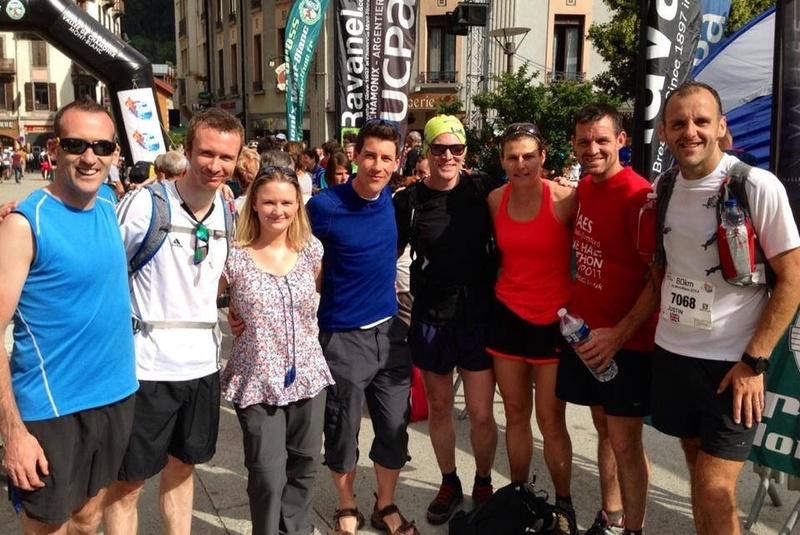 All in all a great few days of banter, mountains, colour, eccentricity and of course running. Highly recommended. To find out what happened at the sharp end and for some great on course photos check out Ian Corless. Thanks to the support team – Ryan Maxwell and Jayne Bell – for photos and logistics.